Vienna, with its fruitful tension between tradition and innovation, informs the musical language of the Austrian violinist Ernst Kovacic. 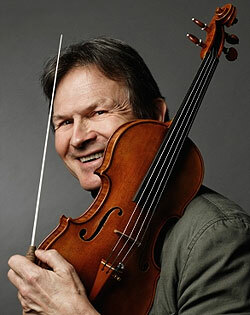 A leading performer throughout Europe and the USA, Ernst was Artistic Director of the Vienna Chamber Orchestra from 1996 to 1998. His recent guest engagements include appearances with the Vienna Philharmonic and Vienna Symphony, Rotterdam Philharmonic Orchestra, Czech Philharmonic, Prague Symphony, Detroit Symphony, Budapest Symphony, Netherlands Radio Philharmonic, Tivoli Symphony and the Radio Symphony Orchestras of Berlin, Bayerischer Rundfunk, Sudwestfunk, Hessischer Rundfunk and Norddeutscher Rundfunk and many others.